Extraordinary Ministers of Holy Communion (EMHC), assist the priest and deacon in distributing the Body and the Blood of Christ at Mass; to the sick at home and in the hospitals; and to the housebound. Whether at Mass or in other special situations, the EMHC enables the recipient to share the Communion of the entire Body of Christ i.e. the Church, and share in the effects of the abiding Communion of love of the Triune God i.e. the Father, Son & Holy Spirit. They are termed “Extraordinary Ministers” to distinguish them from the Ordinary Ministers of Holy Communion (bishops, priests and deacons). They are invited to serve in this ministry at the invitation of the parish priest and with the approval of the Bishop. In every celebration of the Eucharist, there should be a sufficient number of ministers of Holy Communion so that it may be distributed in a reverent and orderly manner. Bishops, priests and deacons distribute Holy Communion in virtue of their office as ordinary ministers of the Body and Blood of the Lord. Extraordinary Ministers of Holy Communion should receive sufficient spiritual, theological, and practical preparation to fulfill their role with knowledge and reverence. In all matters they should follow the guidance of the diocesan bishop. When recourse is had to Extraordinary Minister of Holy Communion, especially in the distribution of Holy Communion under both kinds, their number should not be increased beyond what is required for the orderly and reverent distribution of the Body and Blood of the Lord. In all matters such Extraordinary Ministers of Holy Communion should follow the guidance of the diocesan bishop (IBID). In principle, Extraordinary Ministers are commissioned for service within their parish alone. To serve outside the bounds of their parish they must be commissioned/deputed (even for a single event) by the parish priest of the respective parish. Within the All Saints parish, which consists of 9 churches, any EMHC from any of our churches can function within any of the 9 churches. Hospital Ministry – Extraordinary Ministers can volunteer to be part of the hospital ministry team and go on rota for administering Holy Communion to the sick in the Royal Gwent and St. Woolos Hospitals. To volunteer for the hospital rota, please contact the parish office. Home Visiting – Extraordinary Ministers who wish to carry Holy Communion to the housebound or to the care homes, please make contact with Deacon Rigo Logier. It is standard practice that EMHC generally serve a term of 3 years, with the possibility of a renewal of service in increments of 3 years. 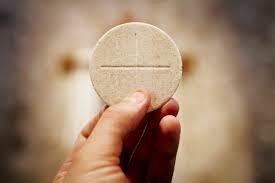 Anyone interested in helping with the distribution of the Body and Blood of Christ should contact the parish priest.